Ashley Kwater joined the Koeneman Team in 2015 as a Client Service Manager. She enjoys being a part of a team that continually strives to put the clients’ needs first and improve the overall client experience. Ashley earned a B.S. in Business Administration with a concentration in Management from Truman State University in Kirksville, MO. During her time there, she was a member of the Women’s Ultimate Frisbee team and took home fifth place at the National College Championships her senior year. 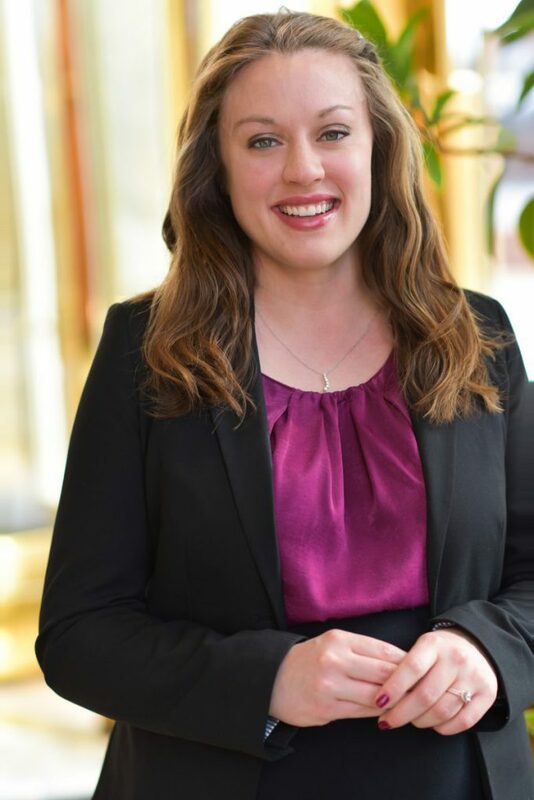 Prior to joining Moneta Group, Ashley worked at Delmar Financial Company, a boutique mortgage firm in St. Louis, managing the firm’s Post-Closing department. Ashley brings client management experience to the Koeneman Team and ensures that every client need is addressed in a timely manner and to their satisfaction. She is responsible for monitoring client account activity and preparing financial reviews. Ashley was born and raised in St. Louis and currently resides there today. In her free time, she still enjoys playing Frisbee, as well as hiking and spending time with friends and family.